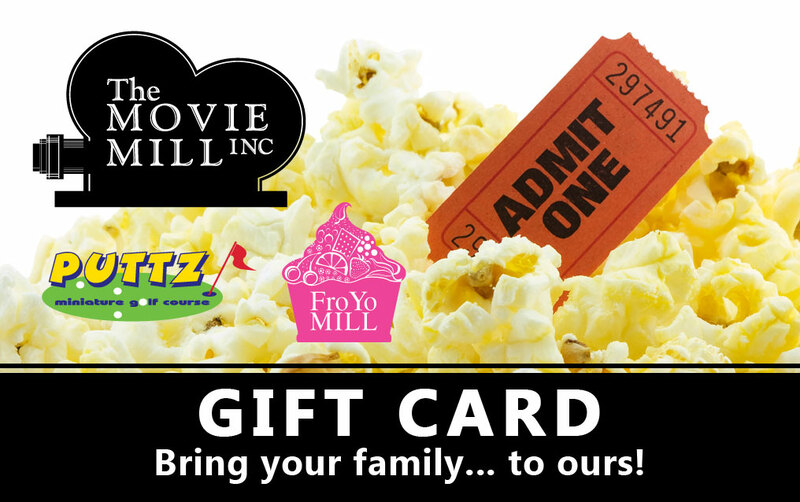 Earn free rewards when you use your card at The Movie Mill. Now you can earn points faster with the upgraded Advantage Loyalty Rewards Card. For registering your card, we will give you a bonus 20 points that can be applied in your next visit to the Mill. FREE Movie Ticket (3D fee will apply) Not valid for premium events. It's your choice. It's that easy. Advantage program will AUTOMATICALLY issue a reward voucher as specified point levels are reached. Members are responsible for the use and safe-keeping of reward vouchers - they cannot be replaced if lost. Advantage cards carry NO inherent or stored value - protecting you if lost. Card must be registered on-line PRIOR to collecting any reward points. Members with a valid email address receive exclusive email offers. Earn one point for every dollar spent on movies, concessions, frozen yogurt and mini-golf. Reward vouchers are valid for 90 days. Not redeemable for cash.